Author David J. Williams (www.autumnrain2110.com) will speak on the future of war and U.S. national security at the Library of Congress this Thursday, October 29th, at 11:30 a.m. His presentation follows the talk he gave at the National Academy of Sciences in August, and will provide a comprehensive framework within which to chart out the next generation of weaponry and strategy. Williams‘ presentation will be at the Madison Building, LM 139, located on Independence Ave SE, between 1st and 2nd Streets. Mr. Williams will give a 30-minute presentation, followed by a book signing. 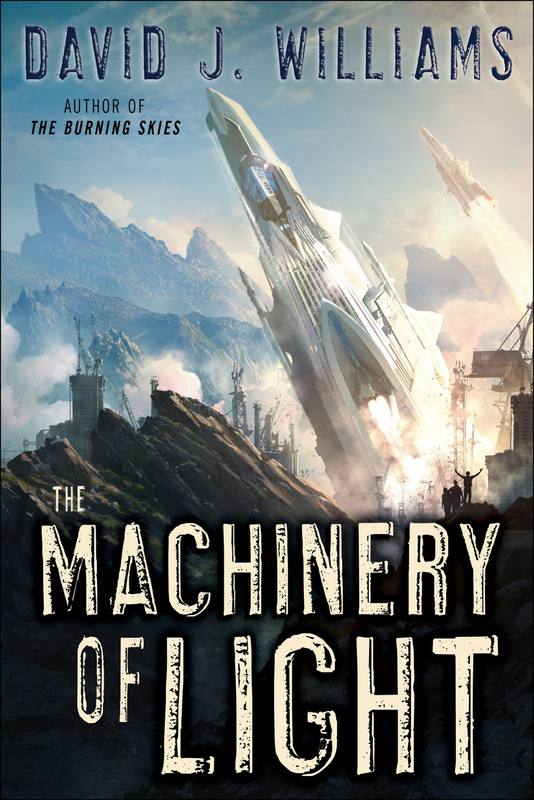 The Machinery of Light cover! I’ve been AWOL doing the pre-copy edit round of revisions on Book Three, but now all normal programming resumes. And what better way to get back into the swing of things then by revealing the cover for the final book of the Autumn Rain trilogy, THE MACHINERY OF LIGHT? Release date: May 2010. Stay tuned! It’s been ten years since Homeworld was released, and Uberjumper over at Relic News has a great thread to commemorate it. It’s tough for me to express how honored I am to have story concept and co-writing credits on the game; the comment thread is a moving testament to the game’s emotional impact. It certainly had an impact on me—my involvement in the game was all moonlighting while I was in Vancouver trying to escape the banal reality of my corporate job back in D.C., and in the wake of Homeworld, I had to wonder why I was stuck doing P&L spreadsheets while friends of mine were inking space-fleets for a living. In many ways, that was the motivation for what ultimately became Autumn Rain . . . and it seems like only yesterday me and Rob Cunningham were poring over spaceship drawings in his warehouse-loft over Hastings Street trying to figure out what the thread was that tied it all together while junkies howled and gibbered in the alley beneath us and we contemplated endless galactic suns. Gail and I met at the LA WorldCon in 2006—in a Starbucks line, as I recall, and jesus were those lattes overpriced. We were both Outsiders Looking In at that point: manuscripts in hand that we were desperate to peddle to the powers that be. Three years later, we’ve both succeeded; Gail’s SOULLESS was just released by oh-so-cool Orbit to great critical fanfare—and how could it not be, given that it’s a comedy of manners set amidst vampires in Victorian London? In addition, she maintains a great blog where she offers readers fashion tips as well as thoughts on how to fight off vampires. I think she’s the next big thing; at least I hope so, as I could use some friends in high places. SOULLESS is available at Amazon and other fine bookstores (and presumably one or two cruddy ones as well).